We are located at the northern fringe of Murnau’s city center. You will reach both the central train station and the town’s pedestrian zone within a 5 minute walk. The nature reserve Murnauer Moos and Lake Staffelsee can be reached by walking 20 minutes. The Murnau Trauma Clinic is a 5 minute drive from our premises. 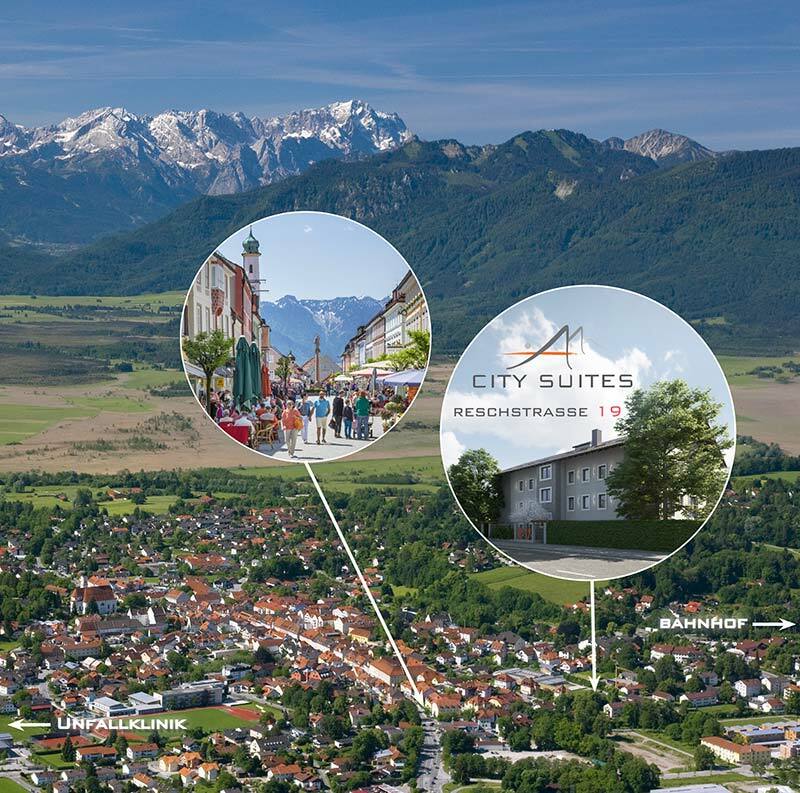 The freeway A95 – Autobahn Munich-Garmisch – is a 12 minute drive from our doorstep. Garmisch-Partenkirchen is a 25 minute drive from our house. You will reach the central beltway “Mittlerer Ring” in Munich in 35 minutes. No matter whether your stay is a business trip, a visit to the renowned Murnau Trauma Clinic UKM or a holiday, we will provide the proper settings for your stay. 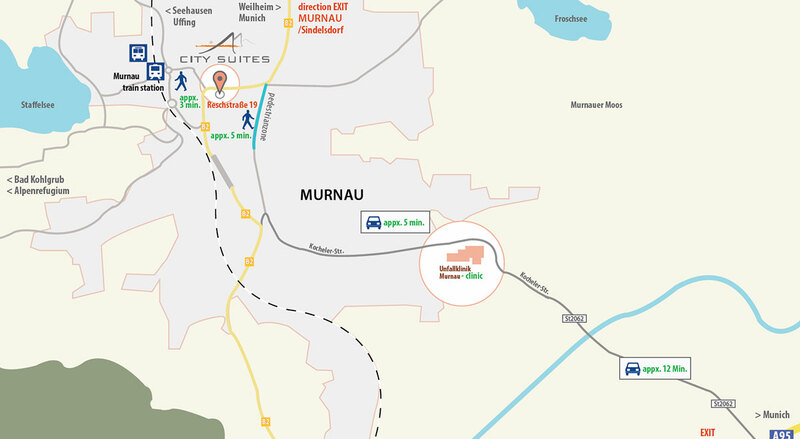 Our City Suites are located at Reschstraße 19 in Murnau am Staffelsee.